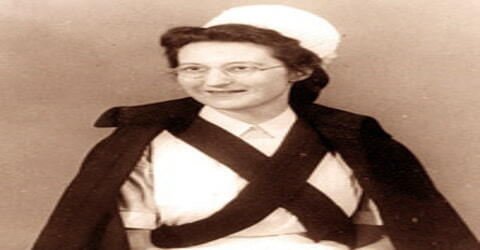 Cicely Saunders – English Anglican nurse. 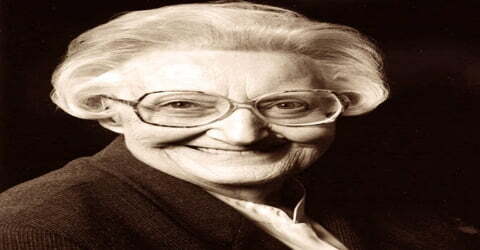 British physician and humanitarian, Cicely Saunders was born June 22, 1918, in Barnet, England. She was an English Anglican nurse, social worker, physician, and writer, involved with many international universities. She is best known for her role in the birth of the hospice movement, emphasizing the importance of palliative care in modern medicine. She has founded St. Christopher’s Hospice in London in 1967 and was responsible for establishing the modern hospice movement worldwide. 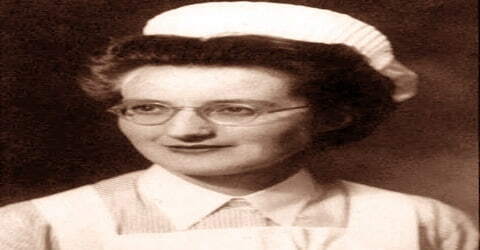 Saunders became a Red Cross war nurse in 1944 and served as a medical social worker before graduating from medical school in 1957. During her tenure as a research fellow at St. Mary’s Paddington, she campaigned for the practice of the administration of drugs on a regular basis to those patients who were suffering from constant pain. She put stress on the fact that patients’ constant need of certain medicines like morphine leads them towards addiction to such medicines. According to her, only regular administration of such medicines can solve this problem by enabling them to receive lower doses of these medicines. This theory of Cicely is considered an important part of hospice care. She will be remembered as the founder of St. Christopher’s hospice that takes care of terminally ill patients. During the late 1940s, she started working with terminally ill patients. She founded the first modern hospice, St. Christopher’s Hospice, in 1967 to provide palliative care to those in need, promoting the principle of dying with dignity. For nearly 20 years, she served as the hospice’s medical director. In an era, when euthanasia was considered as the only solution for patients suffering from cancer and other painful conditions, she proved that pain can be controlled by compassionate care and love through the establishment of St. Christopher’s Hospice. This organization is the first in the history of medicine to combine teaching and clinical research. She also authored books like “Care Of The Dying” and co-edited “The Management Of Terminal Disease”. 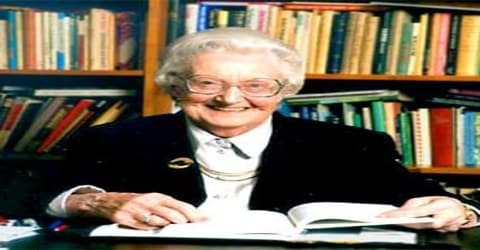 Cicely Saunders, in full Dame Cicely Mary Strode Saunders, was born on June 22, 1918, Barnet, Hertfordshire, England. She was the eldest child of Gordon Saunders, who worked in real estate, and his wife Chrissie. She belonged to a wealthy family of London. She attended day school from where she received her early education. Saunders began studying politics, philosophy, and economics at St Anne’s College, Oxford in 1938. In 1940, she decided to become a nurse and trained at Nightingale School of Nursing based at St Thomas’s Hospital from 1940-44. She planned to study at Oxford University after completing her education from Roedean. Unfortunately, she could not clear the entrance test. Later, she attended St. Anne’s College, Oxford. Returning to St Anne’s College after a back injury in 1944, she took a BA in 1945, qualifying as a medical social worker in 1947 and eventually trained as a doctor at St Thomas’s Hospital Medical School (now merged to form King’s College London GKT School of Medical Education) and qualified MBBS in 1957. In 1948, Cicely Saunders fell in love with a patient, David Tasma, a Polish-Jewish refugee who, having escaped from the Warsaw ghetto, worked as a waiter; he was dying of cancer. He bequeathed her £500 (equivalent to £14,470.24 in 2018) to be “a window in your home”. This donation, which helped germinate the idea that would become St Christopher’s, is memorialized with a plain sheet of glass at the hospice’s entrance. In 1980, Saunders married Professor Marian Bohusz-Szyszko, a Polish painter. She was 61 and he was 79. Bohusz-Szyszko died in 1995, at the age of 94, spending his last days at St Christopher’s Hospice. While training for social work, Saunders holidayed with some Christians and was converted to Christianity. In the late 1940s, Saunders began working part-time at St Luke’s Home for the Dying Poor in Bayswater, and it was partly this which, in 1951, led her to begin the study to become a physician. Saunders started her career as a medical social worker in September 1947, by serving as an assistant almoner at St. Thomas’s Hospital’s Northcote Trust, a specialized health center for cancer patients. She became a Red Cross war nurse in 1944 and served as a medical social worker before graduating from medical school in 1957. A year later, she began working at St Joseph’s Hospice, a Catholic establishment in Hackney, East London, where she would remain for seven years, researching pain control. There she met a second Pole, Antoni Michniewicz, a patient with whom she fell in love. His death, in 1960, coincided with the death of Saunders’s father, and another friend, and put her into what she later called a state of “pathological grieving”. But she had already decided to set up her own hospice, serving cancer patients, and said that Michniewicz’s death had shown her that “as the body becomes weaker, so the spirit becomes stronger”. In 1958, Saunders worked at the Roman Catholic St. Joseph’s Hospice in Hackney, East London. There she served for seven years and pursued research work on pain control. Saunders claimed that after 11 years of thinking about the project, she had drawn up a comprehensive plan and sought finance after reading Psalm 37: “Commit thy way unto the Lord; trust also in him, and he shall bring it to pass.” She succeeded in engaging the support of Albertine Winner, the deputy chief medical officer at the Ministry of Health at the time. Later, as Dame Albertine Winner, she served as Chairwoman of St. Christopher’s. She earned her medical degree from St. Thomas’ Medical school in 1957, began researching and fundraising to form the first research and teaching hospice. 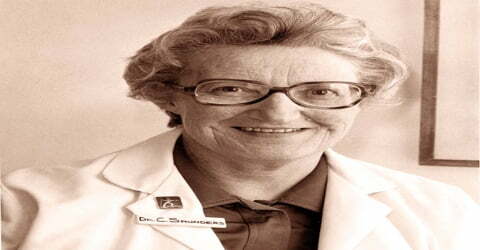 In 1959, Saunders remained busy in writing papers on her concepts for the modern approach towards hospice. Through one of her papers titled “The Need”, she highlighted the issue of loneliness and isolation of patients. She stated about the significance of love and care as an essential part of treatment to cure such patients. Her second paper “The Scheme” states her plan for a 100-bed home for cancer patients and for those who were suffering from other terminal illnesses. She also mentioned a chapel, staff theologians and prayer time as part of effective medical treatment. In 1965, Saunders was appointed Officer of the Order of the British Empire. In 1967, her dream became reality when St. Christopher’s Hospice opened to provide palliative care to those in need. For nearly twenty years, Saunders served as the hospice’s medical director. In 1985, she acted as its chairman and she remained in this position till 2000. In 2000, she became the President of this organization. In her work, Saunders promoted the principle of dying with dignity, maintaining that death is a natural process and can be eased by sensitive nursing and effective pain control. Research work in pharmacology inspired her idea to administer low, steady doses of pain relievers to terminally ill patients to keep them alert and comfortable. Believing that her patients were entitled to a meaningful life and to die with dignity, Saunders developed a holistic approach to their care that she hoped would also meet their emotional and spiritual needs. In 2002, Saunders co-founded a new charitable organization, Cicely Saunders International of which she was the founding trustee and president. The charity’s mission is to promote research to improve the care and treatment of all patients with progressive illness and to make high-quality palliative care available to everyone who needs it hospice, hospital or home. The charity has co-created the world’s first purpose-built institute of palliative care the Cicely Saunders Institute and supported research to improve the management of symptoms such as breathlessness, action to meet more closely patient and family choice in palliative care and better support for older people. Cicely Saunder’s obituary in the Royal College of Physicians of London’s Munk’s Roll collection contains further information about her work with this organization. During her career, Saunders received many awards for her pioneering work, including the Templeton Prize in 1981, and wrote and edited a number of books on her subject. She was made a Dame of the British Empire by Queen Elizabeth II in 1980. Among the many honors Saunders received was the Conrad N. Hilton Humanitarian Prize, awarded to St. Christopher’s Hospice in 2001, for a modern approach towards hospice movement. This award acknowledges the importance of science and humanity to treat patients. 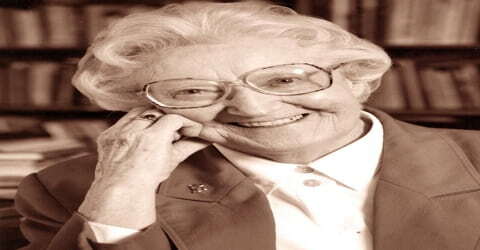 Cicely Saunders died aged 87 on July 14, 2005, at St. Christopher’s Hospice. To mark what would have been her 100th birthday, Google honored her with a Google Doodle. In one of her interviews, this prominent social worker admitted that being an introvert, Saunders found it extremely difficult to make friends while studying at Roedean boarding school. Moreover, her parents’ unhappy marriage complicated her situation. Saunders was instrumental in the history of UK medical ethics. She was an advisor to Andrew Mephem whose report led the Rev. Edward Shotter to set up the London Medical Group, a forerunner of the Society for the Study of Medical Ethics, later the Institute of Medical Ethics. She gave one of the first LMG lectures on the subject of pain, developing the talk into “The Nature and Management of Terminal pain” by 1972. This went on to be one of the most often repeated and requested lectures of the LMG and other such Medical Groups that sprung up around Great Britain, where it was often given as their inaugural lecture. Her talk on the care of the dying patient was printed by the LMG in its series ‘Documentation in Medical Ethics, a forerunner of the Journal of Medical Ethics. Saunders introduced the idea of “total pain”, which included physical, emotional, social, and spiritual distress.